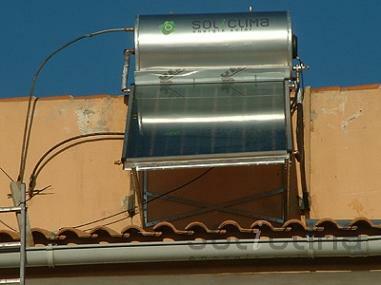 There are different options for hot water production using solar energy. Solar hot water in a restaurant in Gilbert, Arizona. Solar energy is not only useful in the domestic field. It´s also a useful resource in the business sector. According to a recent survey by the OCU, 27% of european solar energy domestic users, find its performance better than they had initially expected. 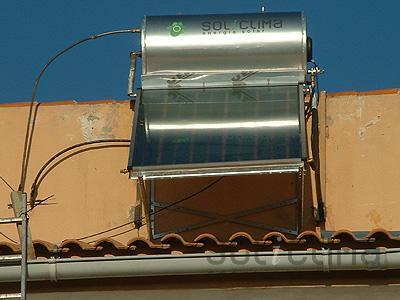 Hot water is only one of the options that the use of solar energy offers. Only a few years ago, it was difficult to find news on climate change in the media. What we see in this facility is a thermosyphon system. IT´s the easiest system, because everything works mechanically. The water tank is built on top of the solar panel, as we see in the image, therefore, it´s not necessary to incorporate a hydraulic pump to the installation. No need for solar controls, either.